With time, the accumulation of sweat, body oil, dirt and grime on your mousepad will make it look filthy and affect its effectiveness. In order to clean your mousepad more effectively and thoroughly, you will need the right tools and supplies. Depending on the type of pad you are using, you may need lint-free antistatic swabs and wipes. 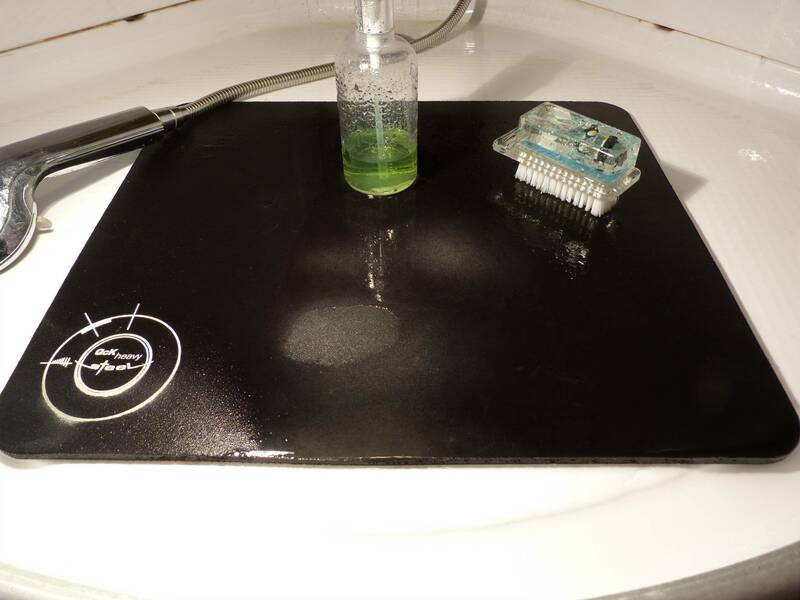 Other than that, you may decide to use mild soap and water solution or isopropyl alcohol to clean your mousepad. Regardless of the mousepad material, it is advisable to clean it once every few weeks. However, do you know how to go about it? 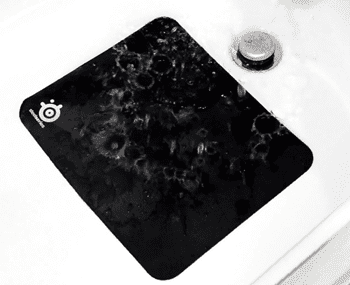 If you would like to clean your mousepad, these are the steps you need to take. When Should You Clean a Mousepad? 1 When Should You Clean a Mousepad? 3 What is the Pad Made of? 5.1 Is Your Mousepad Made of Plastic? Before you worry about how to clean a mouse pad, you need to be able to tell when it is the right time to clean it. A considerable number of computer users tend to go for years without cleaning their mousepads. Actually, several of them do not even know whether the pads need to be cleaned at all. As such, you may be having a hard time deciding when it is the right time to clean it. Basically, you do not have to clean the mouse after every use. Ideally, it should only be cleaned after every few weeks of use. However, the frequency with which you clean a mousepad will mainly depend on how heavily you use it. You can test to see whether your pad is dirty by scratching on its surface using your finger. If this action leaves traces, the pad is already dirty. In such a case, you need to clean the mousepad right away. Again, you do not need to wait for the dirt and grime to build up on the pad this much. Instead, you should plan ahead on when you will be cleaning the pad. The rather lazy type of users will want to throw their pads into the dry cleaner. While using gentle dry cleaner cycles may not damage the mousepad fabric, this is not the best way to go about it. Instead, you should hand wash the mousepad using warm/hot water and soap solution. Pads that are not made of cloth may require you to use a little piece of cloth, along with the soapy water to clean them thoroughly. 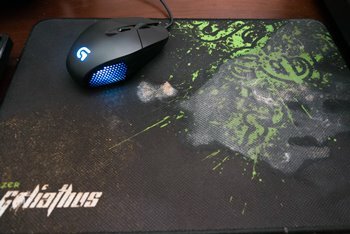 All in all, it will only take you about 5 minutes to hand wash your mousepad. What is the Pad Made of? The type of supplies and method you use to clean your mousepad will mainly depend on what its surface is made of. In most cases, these products are made of spongy foam that is covered with a plastic top or finely knit fabric. Just as is the case with washing clothes, soaking the pad for a few minutes will make it easier for you to remove hard-on stains. In this regard, you should fill the tub or even basin with a small amount of warm water and add a small amount of mild soap. Now soak the pad into the soapy water and leave it there for a few minutes before washing. This is particularly beneficial for cloth pads. 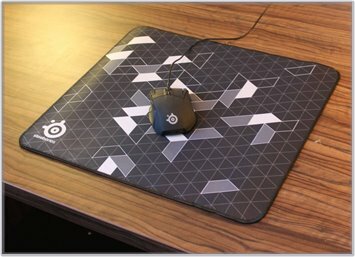 As mentioned earlier in this guide, mousepads are made of different materials. As such, the right cleaning method will mainly depend on what your pad is made of. For the fabric mouse pads, you may use shampoo and a moist rag or washcloth to clean it. In this regard, you need to make solution of the shampoo using water. Now soak the rag or washcloth into the solution and use it to rub the surface of the pad gently. Shampoo is basically a mild cleaner and has been proven to be gentle on both the skin and most fabrics. As such, it will not affect the fabric on your mousepad. Is Your Mousepad Made of Plastic? 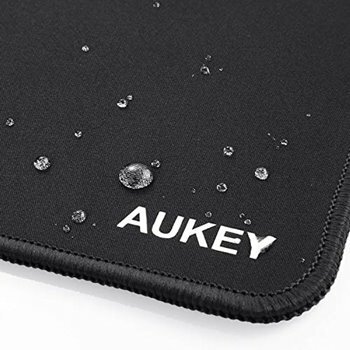 If the surface of your mousepad is made of plastic, you need to use a different cleaning method altogether. In this regard, you need to use a sponge or cloth and a mild household spray cleaner to clean the pad. Alternatively, you can also use shampoo or dish soap in place of the household spray cleaner. Regardless of what you are using, you need to scrub the surface of the plastic mouse pad until it appears clean. With plastic pads, you may use a little force to scrub dirt and grime from the surface. All in all, it is advisable to try and massage the dirt out of the pad using some force. This is the only way you are going to clean the pad thoroughly. Once you are certain that you have washed or scraped all the dirt, you now need to rinse the soap off your pad. For the best results, you should do this using a showerhead. Run clean water over the pad to get rid of the soapy water. If after this you realize that some stains were not cleaned, you should go back to the first step and clean the pad once again. Now that you have thoroughly cleaned and rinsed your mouse pad, you now should let it dry before you can use it again. At this point, you should just hang it somewhere—just the way you hang clothes on a line to dry. However, you should not hang the pad to dry under direct sunlight or any other source of heat for that matter. This is because direct heat can have a damaging effect on the structure of the pad. Similarly, you should never use a dryer to dry the mouse pad. Just leave it hanging away from direct sunlight; it will dry out in a few hours. Once the pad has dried out completely, you can now take it back to your desk. You may be wiping your computer and desk every day, but fail to notice the need to clean the pad as well. not only will this contribute to the overall cleanliness of the work environment; it will also enhance the efficiency of the pad. Cleaning your mousepad is quite easy and will only take a few minutes of your time. Get in the habit of cleaning your mousepad regularly for a clean work environment.